Bet At Home Poker is an attractive, easy-to-use skin with the security of the famous iPoker network. The iPoker network is one of the largest poker networks in the world. 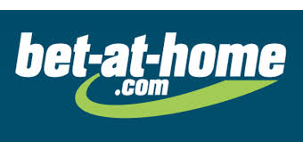 Originally a sports-betting site, bet-at-home.com expanded into poker in 2006, but the player base has remained focused on sports betting and their online casino. As a member of the iPoker network, there are a lot of familiar qualities that you will recognize elsewhere on the network including simple user-friendly software, attractive promotions, weak players and a wide variety of games. A big difference between Bet At Home Poker and other iPoker skins is that they focus more on the casual player. While other iPoker rooms cater to poker sharks and pros, Bet At home Poker is for the everyman. They do not offer any high VIP system or the usual Rakeback deals you find on the iPoker network, but that does’t mean that bet-at-home.com isn’t a good choice for Highrollers. Bet-At-Home Poker offers some tremendous promotions including big sign-up bonuses, regularly scheduled giveaways and a variety of fantastic freerolls for new and experienced players. If you like to play freerolls and want to boost your bankrolls, we highly recommend signing up for the action at Bet At Home Poker. You’ll get access to different daily, weekly and monthly freerolls to earn even more cash. All players who register now through YourPokerDream at Bet At Home Poker will get also access to our exclusive Weekly €25 YourPokerDream Freeroll. Don’t lose time- register at Bet-At-Home Poker! Language: German, English, Russian, Belgian, Spanish, Danish, Finnish, Dutch, Poland Norwegian, Swedish, Portuguese. How long needs a withdrawal? By Skrill or Neteller payouts needs between 24-48h. In the most cases, you have your withdrawal after max 24h at your Skrill or Neteller account. Don’t you have a Skrill or Neteller Account? At bet-at-home.com poker, your loyalty pays off! That’s because each time you participate in a tournament or a cash game hand, you’ll receive valuable Status Points – which will be your entry ticket to exclusive freeroll events. Collect points and climb your way up the VIP levels, all the way to the very top! It’s worth it, don’t you think? As a “Silver” member, for instance, you can participate each week in the “€200 Silver Freeroll” and secure attractive prize money for free. 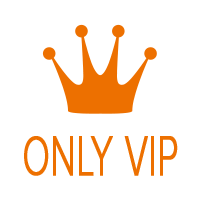 To reach a VIP level, which will be calculated on a daily basis, a certain level of Status Points is required. You can move up to a higher VIP level at any time however you can also be lowered at the end of the month. Join our $25.000 Main Rake Race and recieve some extra cash and nice rakeback. All YPD Members with an tracked Poker Account participate automatically. An exlusive Promotion for all new members who create a new poker account at one of our partner rooms. Win a holida trip to ibiza or some other nice prices. Only players who create a new poker account at one of our poker partners recieve one ticket for our lottery. Every Sunday at 21:00 CT+1 you can participate in our weekly freeroll tournament and win some extra cash.All YPD Members with an tracked Poker Account participate automatically. On your marks, get set, go! At bet-at-home.com poker, we now fire the starting pistol for exciting Twister Races with a prize pool of 12,500 Euros! Collect valuable points every time you participate in a tournament. Every victory will get you even more points! And the best part: There is a new race starting every week! A small buy-in with a fantastic prize! A buy-in of just €5 ensures you’re well-placed for our rapid-fire Twister Races – where there’s €5,000 in cash up for grabs! Collect valuable points whenever you play in a tournament. Victory earns you even more points! Don’t miss out on your chance to claim a super prize. And best of all: The races start afresh every week! All new players will get daily free entrance to the Winner Freeroll Super Turbo tournaments. And you’ll receive entry to a $250 Weekly Depositors Freeroll! At bet-at-home.com, you can play poker like in the Wild West now. Complete daily and weekly missions and get tickets for attractive freerolls. A total of €68,000 in cash is waiting to be won! Mini buy-in, mega prize: Just €2.50 lets you play for a coveted package to Las Vegas worth €5,700! bet-at-home.com poker is making dreams come true and taking you to the mecca for casino lovers! 20 packages, each worth €5,700, up for grabs – including the buy-in for one of the highly popular live events! The showdown for these valuable prizes takes place at 21:00 every Sunday! Every Sunday there are €275,000 guaranteed over nine great Multi Table Tournaments called the Sunday Line-Up.